DYNAMOS players have given themselves an ambitious target to win the next seven games starting with the clash against Triangle at Gibbo tomorrow. 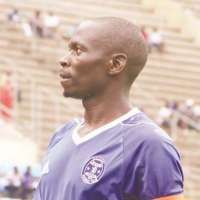 Captain Ocean Mushure yesterday said the under-performing giants are keen to tame the poor run which has sparked a circus in their technical team. “We are aiming to get maximum points against Triangle because our position on the log standings is very disappointing. We have to fight hard as a team to improve on that.